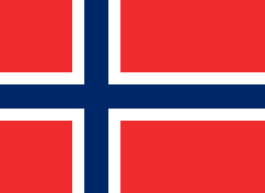 The Football Association of Norway (Norwegian: Norges Fotballforbund; NFF) is the governing body of football in Norway. It was formed in 1902 and organises the men's and women's national teams, as well as the Norwegian Premier League. The current president of NFF is Yngve Hallén. By 1 January 2004, there were 1,814 clubs organized in Norway and 373,532 registered players. It is the largest sports federation in Norway. The NFF joined FIFA in 1908, and UEFA in 1954. The NFF was part of an unsuccessful joint bid with the SvFF, the DBU and the SPL to host the UEFA Euro 2008 championship. The SvFF invited the NFF to join them in bidding for the UEFA Euro 2016 championship. The NFF and Norwegian politicians expressed support for such a proposal, but Euro 2016 was eventually awarded to France. In Spring 1902, Lyn invited representatives from Grane and Spring (both now defunct) to join together in forming a national football association. On April 30, 14 delegates from the three clubs met at the Hotel Bristol in Oslo. These were Trygve Karlsen, Arthur Nordlie, Leif Eriksen and Bredo Eriksen from Lyn; Just Hagemann, Isak Benjaminsen, Walter Aigeltinger and Emil Wettergreen from Grane; and Christen Hummel Johansen, Arne Baggerud, Birger Freihow, Thorleif Wibe and Thorvald Torgersen from Spring. Together they agreed to form a football association, and voted 9 to 5 to adopt the name proposed by Lyn - Norsk Fodboldforbund. Isak Benjaminsen from Grane was adopted as the first chairman.